As a leading company in high technology activities, INNOVATION is at the heart of our strategy. United by a strong culture and driven by values that place INNOVATION at its core, Cryostar personnel are highly committed to developing increasingly higher performing solutions and equipment which meet their customers' requirements at all times. Achieving technical excellence, making suggestions and ensuring customers benefit from the latest features in cryogenics, and constantly improving products are policies that would be impossible without competent and committed staff. At Cryostar, INNOVATION is at the heart of everything we do, not just for teams dedicated to Research & Development, but also for teams working every day to design the equipment we sell. A community of Experts and Specialists also capitalises on their own experience and feedback received from customers to continue to INNOVATE. 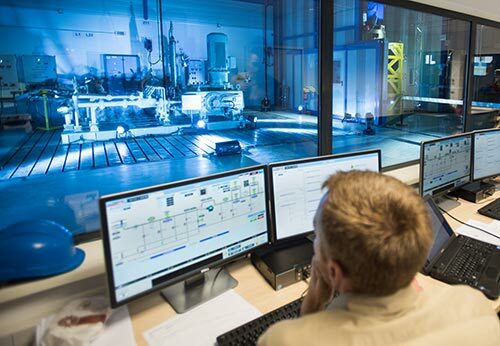 These teams have just been strengthened by investment in an “Intelligent Reliability Concept” (IRC) hub, a new platform driven by aspects such as "predictive maintenance". These are targeted at leveraging the digital signature of our vast installed base of equipment, with the aim of anticipating operational behaviour on site.